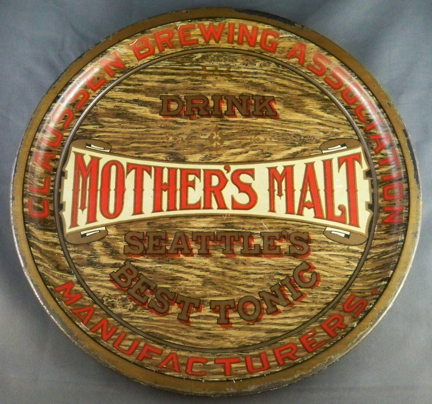 Serving Tray for Mother’s Malt, Seattle’s Best Tonic from The Claussen Brewing Association. The tray has a wood grain effect with orange writing. These trays with the wood grain effect have a special place for many collectors.